E-commerce is temporarily suspended. It will be reactivated as soon as possible. Rolleri has been producing shear blades for more than 20 years. To produce shear blades we use high quality steel to guarantee reliability and wear resistance. Each product is made according to the customer's needs: material to be cut, holes and hardening according to your requests. We use material suitable to guarantee reliability and wear resistance. Available with 1, 2 or 4 cutting blades with threaded or countersunk holes. What material are you cutting with your machines: Steel, Stainless Steel, Aluminium, etc.? How thick is the material? 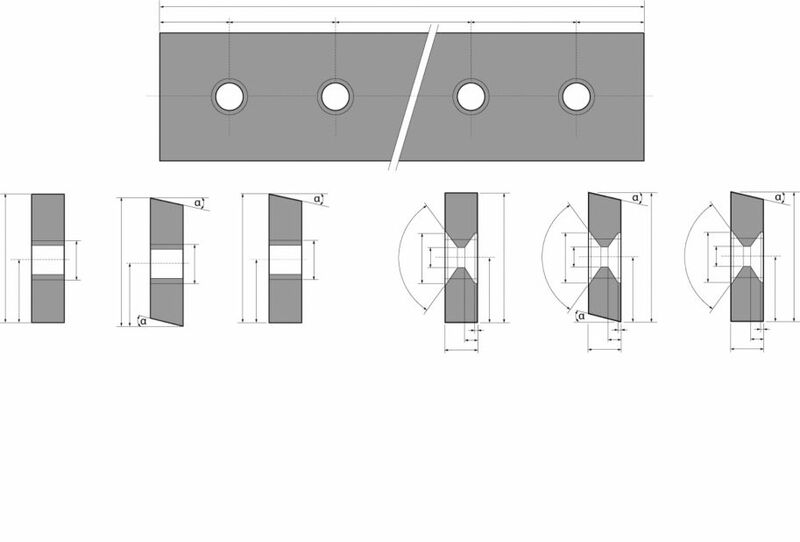 How many upper and lower shear blades are needed?